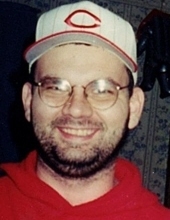 Mason, OH - David Hester age 44 passed away in his sleep at his residence Friday January 25, 2019. He was a former employee of Lee’s Famous Recipe and Emerson Power Transmission. He was a 1992 graduate of Mason County High and a 2005 graduate of Maysville Community College. David was born September 3, 1974 to William M. “Mitch” and Paula Howard Hester of Maysville. Other survivors include his sister Rachel (Rodney) Riddle, two nephews, Nathanial Riddle, Raylan Riddle, and two special friends Rob Fite and Gary Dowdell . He was preceded in death by his paternal grandparents Orville and Mary Tolle Hester and maternal grandparents Paul and Joetta Cleaver Howard. Services for Mr. Hester will be at the convenience of his family. To send flowers or a remembrance gift to the family of David Hester, please visit our Tribute Store. "Email Address" would like to share the life celebration of David Hester. Click on the "link" to go to share a favorite memory or leave a condolence message for the family.